Over the past few months, several key staff were recruited, the first of which was a full-time veterinarian Dr. Susana Santos, who started at the end of July. Her role is to provide medical and surgical services to rescued animals, and provide desperately needed training for young Khmer veterinarians. The program also staffed a local, Khmer Outreach Coordinator, Kimsan Sann, in September 2018. Kimsan Sann's is key to the program, serving as a liaison to the community by communicating with monks, nuns, and animal caregivers in the pagodas to educate them on how to provide better animal care. Critical supplies and equipment necessary for the project have been secured, including an electric tuk tuk to provide transport services for rescued animals. With the outreach coordinator on board, we have developed a systematic method of assessing animal welfare at the various project pagodas. This survey is currently being used to estimate the numbers of animals, caretaker attitudes, and craft our educational program and messaging. Currently, the veterinary team has already teamed up with several local pagodas to organize spay/neuter and vaccinated services, educational workshops, and medical care. The program is also offering free spay neuter services for owners who can’t otherwise afford veterinary services for their pets. 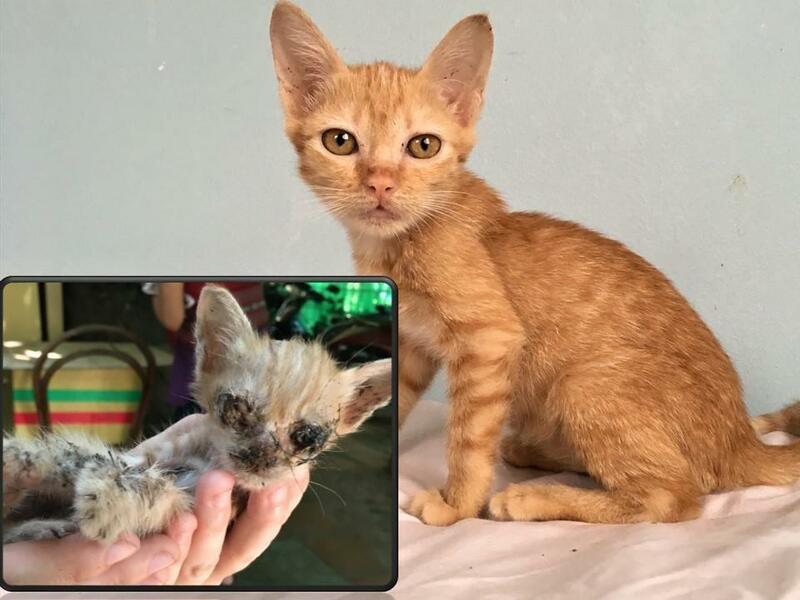 FOUR PAWS has teamed upwith local charity, Animal Rescue Cambodia to help improve the dire situation for stray cats and dogs in the capital city of Phnom Penh. Despite being known for its magical temples and exotic cuisine, Cambodia remains one of the poorest countries in Asia lacking any type of animal welfare legislation protecting companion animals. Rabies is also a significant threat in the country, killing over 800 people a year. Throughout Southeast Asia, there is a common misconception that unwanted animals can be abandoned at Buddhist temples (called pagodas in Cambodia) because they will be cared for by the monks. While animals may be provided a bit of rice and leftover scraps, most die from malnutrition and disease. 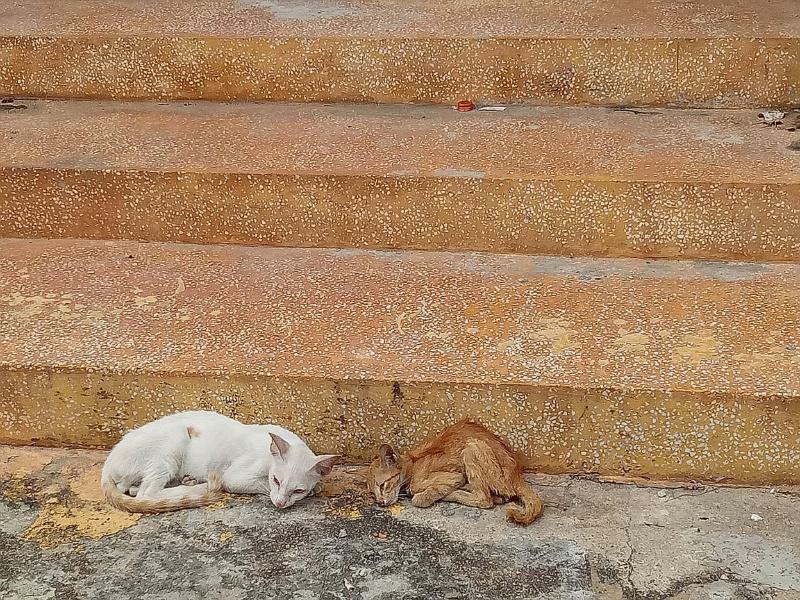 Unwanted kittens are frequently born into a miserable life at the pagodas. Much of this suffering could be prevented through simple education, as most local people just don’t know how to provide care for these animals. Amazing before and after of little James who was found just in time! Driven by poverty and the belief that dog meat has medicinal properties, the dog and cat meat trade is rampant throughout the country. Dogs and cats living at pagodas are frequently targeted for the trade, which is brutal and the suffering involved in it is unimaginable. Stolen animals, many of them former pets, are trafficked in cages or sacks in which they are killed, often by drowning. Dog and cat meat is sold at roadside stalls under the name ‘special meat’. It’s increasing in popularity throughout Cambodia, particularly among tourists visiting the country. 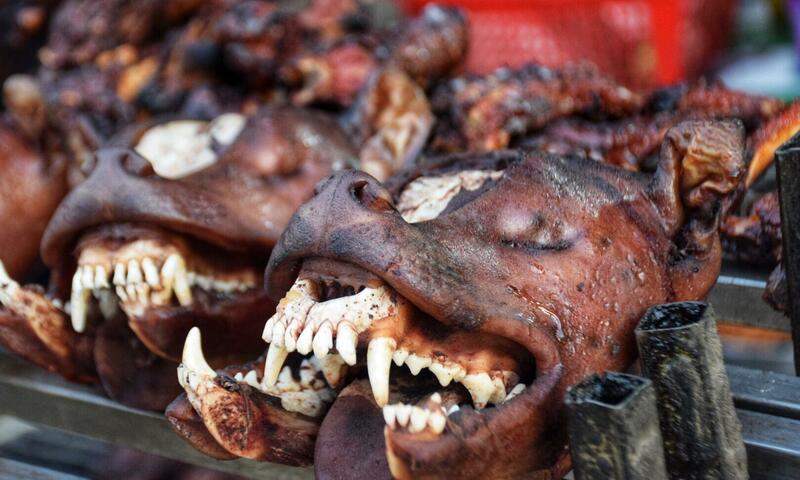 The dog meat trade is extremely dangerous to public health given the high prevalence of rabies in the country. Through partnership, FOUR PAWS is all about building the capacity of communities to address animal welfare issues themselves. The program provides desperately needed rescue, treatment, and sterilization services to prevent the unnecessary suffering of vulnerable pagoda animals. Community engagement is also a key component, to improve care of these pagoda animals while also striving to reduce the dumping of animals in the first place. A training program will be developed to empower monks, nuns, and local caregivers at project pagodas to provide better animal care. 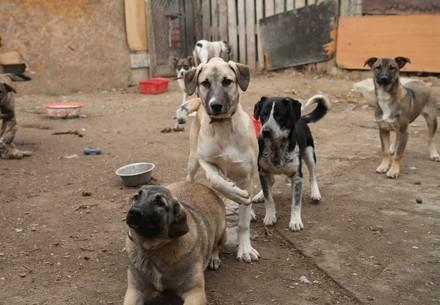 Through effective procedures such as spay/neuter and community education, we hope to reduce the number of animals falling victim to the horrific dog meat trade. An estimated 5 million dogs and over 1 million cats fall victim to the dog and cat meat trade every year in Vietnam. The Asia Canine Protection Alliance is an international alliance of animal protection organizations committed to ending the illegal trade of dogs in Vietnam, destined to supply restaurants and markets throughout the country. ACPA is working to build collaborative relationships with the governments throughout Southeast Asia where the dog meat trade is prevalent. ACPA has already secured a moratorium on the trade in dogs between Thailand and Vietnam and Vietnam’s Department of Animal Health has issued a directive to stop the illegal import of dogs. Every year in Indonesia, millions of dogs are brutally collected and transported throughout the country for the dog meat trade. The majority are stolen family pets which are illegally trafficked to slaughterhouses and markets. Their legs and muzzles are frequently bound so tightly that they can’t move or breathe, and are driven on extremely long journeys throughout the country to supply local markets. 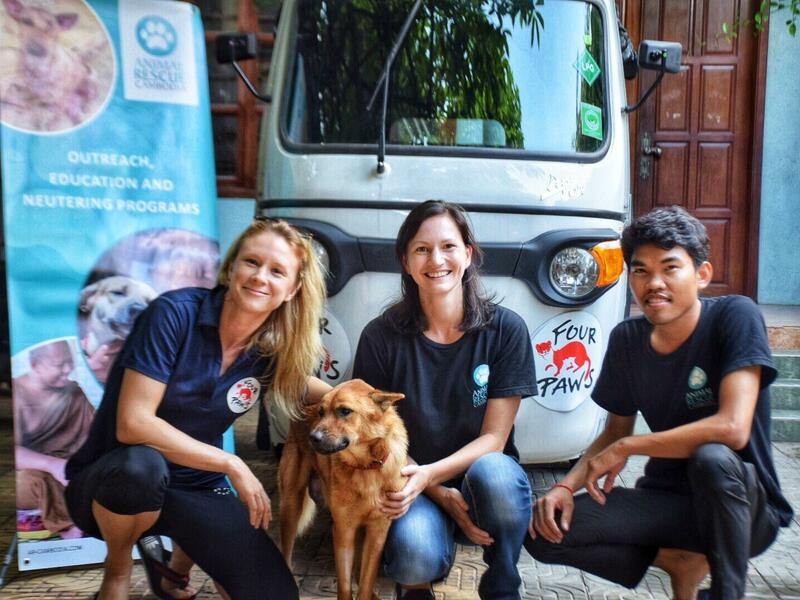 FOUR PAWS and the Dog Meat Free Indonesia Coalition is calling on Indonesian President Widodo to protect cats and dogs from the cruelty associated with this trade. 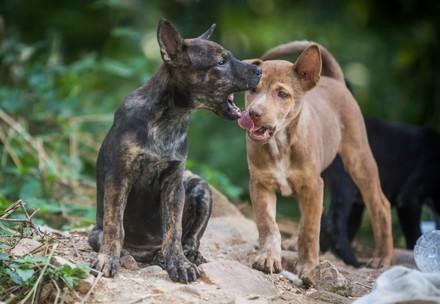 Take action to help dogs in Indonesia!